Come and Join us as we celebrate and officially KICK OFF the 24th Annual Good in the Hood Multicultural Music, Arts & Food Festival. 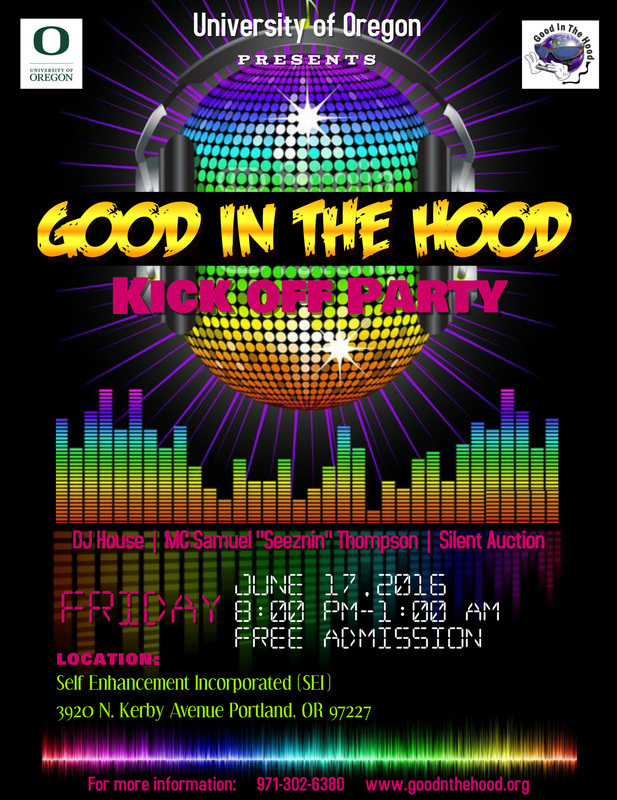 We'll have music, food, adult beverages (no host bar) and silent auction benefiting the Good in the Hood Non-Profit Organization. Meet our sponsors, community leaders, vendors, and the GITH Festival Committee. It's going to be a great night of music, dancing and amazing food.